Lancashire Sock Manufacturing Co., Britannia Mill, Bacup, Lancashire. Here at Lancashire Sock we pride ourselves in being recognised as the UK's leading manufacturer of latex foam and crumb rubber coated felts and textiles which are used in a wide range of domestic and industrial applications from footwear insoles to carpet underlay. We are also the premier manufacturer and supplier of synthetic chamois and advanced heat reflective ironing board cover fabrics. Founded in 1917, we are the longest established, fully independent, flame lamination specialists in the UK, we have a great depth of experience and expertise in bonding foams, textile materials and films, working closely with our customers to deliver solutions which meet ever more demanding requirements. In addition we offer specialist hot melt adhesive lamination, thermo-adhesive coating, pressure sensitive adhesive and commission perforation of flexible substrates. Please note we only supply our products wholesale in bulk and cannot supply private individuals. © Copyright 2014 Lancashire Sock is Registered in England. VAT No: GB146 4462 64. Reg. No: 00525682. Reg. 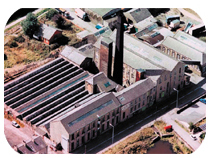 Office: Britannia Mill, Bacup, Lancashire 0L13 9RZ. All rights reserved.